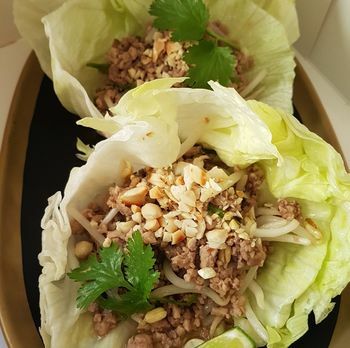 Spicy pork mince served in a lettuce leaf cup. Delicious well balanced nutrition. 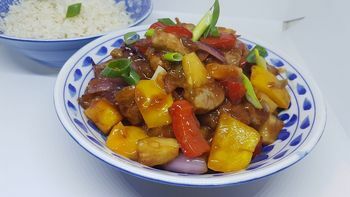 This has been the “go-to” dish in Chinese restaurants for years. Now you can make it. 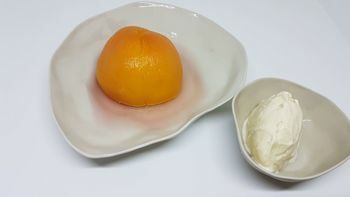 A poached, in-season, peach served with a scoop of ice-cream or custard.